Greg Raymer, the champion of the 2004 World Series of Poker Main Event, was born on June 25, 1964 in Minot, North Dakota. “The Fossilman,” as he is called, is known for his fossil card protectors and his holographic sunglasses. Before playing poker online at PokerStars, Greg Raymer graduated from the University of Minnesota Law School in 1992 and worked as a patent attorney for more than 10 years. 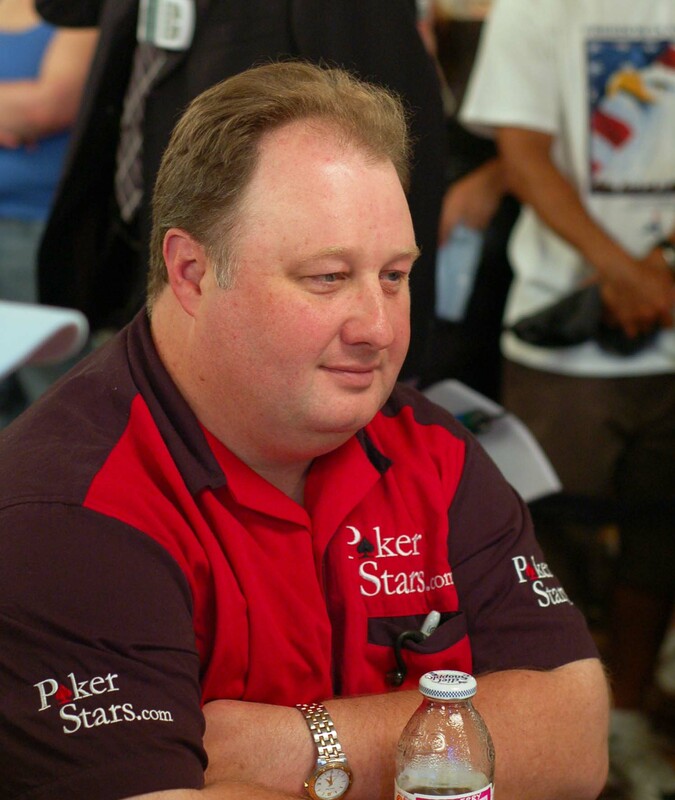 Greg Raymer started playing poker in 1999 at the Foxwoods Casino after moving to Connecticut. It was here that his poker career truly began. Greg Raymer had made the money at the World Series of Poker before his 2004 championship, having placed in the 2001 $1500 Omaha Hi-Lo Split 8s or Better which was won by Chris Ferguson. In 2004 Greg Raymer won a $160 satellite on PokerStars to earn passage into the World Series of Poker Main Event. Like Chris Moneymaker the year before, Greg Raymer went all the way to become WSOP Main Event Champion to have his picture placed on the Wall of Fame. In 2005, Greg finished 25 out of 5619 players, earning a great deal of respect for a repeat performance in such a large field. In 2005, Greg Raymer finished 3rd in the inaugural British Poker Open to win £20,000. On PokerStars in 2006, Greg finished 2nd in the first quarterly $1 million guaranteed tournament on PokerStars.com, winning $180,000. Greg Raymer and his family moved to Raleigh, North Carolina in 2005. This poker pro prefers spending time with his family and only travels to poker tournaments on special occasions, such as the WSOP. Greg Raymer considered running for Vice President in 2008 as a member of the Libertarian Party. Greg Raymer plays online at PokerStars under the screenname “fossilman” PokerStars is one of the best online poker sites, having produced 3 WSOP Main Event champions. If you wish to play at PokerStars, do so with our Pokerstars bonus code to earn some extra money.